Established in 2016, Sweet City Landscapes has quickly become the industry leader in our area by providing great service that is priced right and by standing behind all of our work. We value building trust-based relationships that last lifetimes and a highly qualified, professional team to serve our clients. We look forward to serving our home of Vidalia and the entire middle Georgia area for many years to come. Great Service. Priced Right. Guaranteed. With one of the industry's most comprehensive screening processes, HomeAdvisor gives you the peace of mind that comes from knowing you hired a pro you can trust. 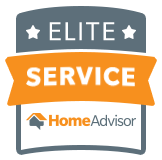 Sweet City Landscapes is proud to be a top-rated member of HomeAdvisor. 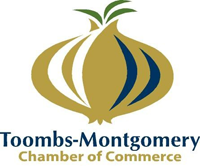 The Toombs-Montgomery Chamber of Commerce is a non-profit organization that works to provide leadership that supports the Chamber membership and the local business community while promoting favorable economic growth.